Every type of move, long, or short distance, needs to be carefully done. You should have a plan of action and be aware of many details. However, moving long distance, or performing an interstate move, needs special attention and the help of interstate moving companies NYC. This process needs a bit more planning since it has more steps than a local move. That is the reason why you’ll want to hire reliable interstate movers NYC. But how to find a reputable and reliable moving company when there are so many in this country? You need to search thoroughly and choose wisely to avoid any possible scams and problems. If you’re preparing to move to New York City from another state or in reverse, you need good preparation. The challenges of an interstate move are slightly different from a local move. That’s why you should do your best when it comes to preparing in advance. Before you pack everything you own into a pile of carton boxes, you will need to find an interstate moving and storage company you can trust with your belongings. Federal and state regulations hold interstate moving companies NYC to a different standard than local movers. The main differences between cross-country moves and local moves are very clear. When it’s an interstate move, you and your belongings will spend more time on the road. This is why this type of relocation has more risk. Interstate moving companies NYC, such as DA Moving NYC, will secure your personal items to ensure that they arrive without any damage. 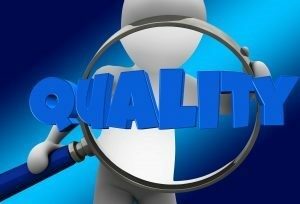 Other differences that are less obvious are in the details of Federal regulations. Interstate moving companies NYC are required to provide their clients with a copy of Your Rights and Responsibilities When You Move. This is published by the U.S. Department of Transportation’s Federal Motor Carrier Safety Administration. This publication details the policies, and procedures that you need to be aware of when contracting interstate moving professionals in NYC. Great moving companies are few and far between, meaning that if you go with the cheapest company you can find, then you’re rolling the dice. You don’t want unprofessional or unskilled workers and drivers handling the things that are most important to you in life. It’s important to read recommendations, ask around, and check out reviews on how to choose a reliable moving company. Do your research to find out what really separates the best New York City moving company from the rest. There are plenty of moving companies in the Bronx, in Staten Island, and Brooklyn. But when you are in need of movers to take you around the Tri-State Area or beyond, you need the best. Do the homework to find the best moving company! Hiring movers can feel a little overwhelming, especially when you have to find an interstate moving company. With so many moving companies to choose from, where do you even start to look for movers? Before you start searching for a good mover, make sure you understand what type of move you’ll be making. The type of move will determine the type of moving company you should hire. 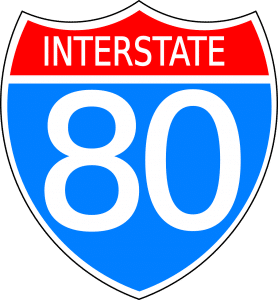 You can start by understanding the difference between interstate and intrastate. Also, while you are choosing the right moving company it’s important to know what not to do when hiring interstate moving companies. There’s a difference between intrastate and interstate moving companies NYC! You should check out at least 10 movers. Research their history, understand the signs of a rogue moving company and by knowing exactly what details will be involved in your move. Will you be packing yourself? What kind of estimate will be best for your move? Ask your mover the right questions. Before mover comes to your home get the information you need over the phone. This can help you save some time and effort. When hiring the interstate moving companies NYC the most important thing is the budget. Ask your company what their rate is. Most companies will provide a rate per pound and a distance rate. If the company offers a quote based on cubic feet, do not hire them. A company estimate must be based on weight if you’re moving long distances. For short distances, some companies will charge a per hour rate. Keep in mind that the moving company must give you an estimate in writing and they must provide you with a copy. The estimate must include all charges and both you and the mover must sign it for it to be an agreement. The estimate must also indicate the method of payment and be dated. 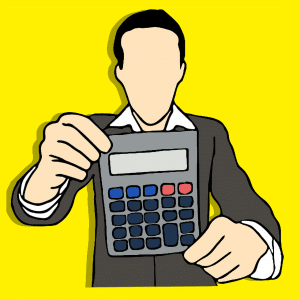 Calculate your budget, make sure you have enough refunds for your moving! For long-distance moves, some companies may transfer your belongings from one truck to another. Additional transfers increase the possibility of damage and loss. Keep this in mind when you are choosing your carrier and ask beforehand. Also, if you are moving during the winter or rainy season, find out if the company protects against water damage. Don’t pack items that are of high value and leave them with the mover. Important items, such as your passport, accounting records, school records, jewelry or other things that are critical, You need to carry with you, do not leave them with the mover. Ask about moving insurance. Most insurance policies are based on weight, not value. Make sure you’re fully protected and also if you need to purchase more. Have someone at your old home for when the movers pick up your stuff and someone at the new home for when they are delivering. Everything that goes on and off of the truck you need to record and check. Make sure you read everything thoroughly and ask questions when you need explanation. If you see a list of additional fees, ask the mover to explain what each means and how they apply to your move. If there are any boxes or items missing, don’t sign the paperwork. The move must be complete before you sign. Once you sign that you’ve received everything, it’s hard to go back to the company to say that something is missing. Size Of Apt.StudioOne Bedroom Apt.Two Bedroom Apt.Three Bedroom Apt.Four Bedroom Apt.Five Bedroom Apt. We are fully Licensed and Insured movers. We also provide a Certificate of Insurance (COI) upon request. Contact us to setup your next move or delivery.